Traffic congestion is a major issue in many cities. Bikes are hailed by many as in solution to the problem. They help reducing pollution and improving wellbeing too. The Bicycles makes sense in cities. With rising urbanization our cities need mobility solutions and moving around on two wheels proves time and again that it can issue in many cities around the world. Moreover, it helps citizens get and stay healthy whole promoting the air quality of the city and it’s a great way for tourists to explore a new destination. These are some cities that are actively encouraging green mode of transportation. Cycling in Bordeaux France is always a pleasant experience. Thanks to the beautiful views and tramlines that keeps cars off the road. The city is also a home to a widely accessible bike share system. V 3 that continuous to make cycling even more mainstream. Paris: there is a very romantic cultural picture of France that involves bicyclist riding lazily through the countryside. Paris is quite accessible to bicyclers. From bike paths to bicycles for hire this city has certainly made it easy to pedal from one beautiful place to the next affordably and greenery place. In addition bike paths continue to get more extensive throughout Paris. In promotion of cycling the city closes some of its roads to cars on Sundays, but keeps them open to cyclist. 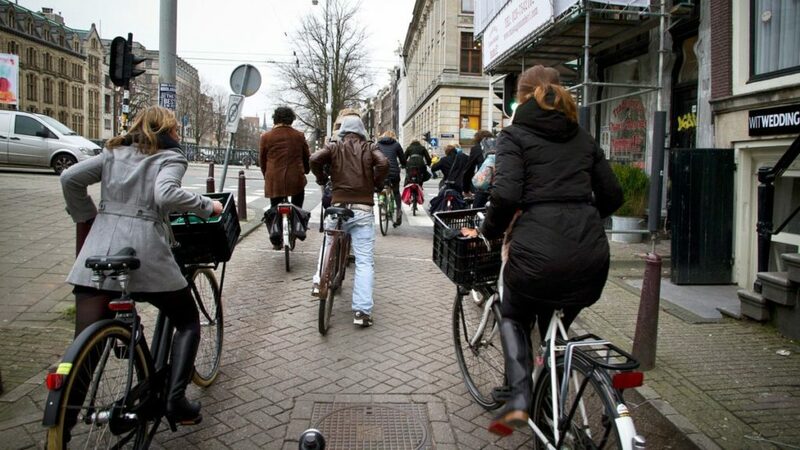 Amsterdam Netherlands does nearly everything right when it comes to biking. It has a relaxed cycling atmosphere, bike parking lots and devoted paths. The rapid rise of the scooter is major concern. There were 8000 scooters in 2007 and 35000 in 2016, but efforts have been made to improve the infrastructure. Montreal has a great network of bicycle paths and lanes that make it possible to travel all over the city on a bike. The network is called Bixi Montreal. It is operated by using a simple pay station, users deposit and the required fee and then the bicycle is released from its lock. By this network the people who do not own bikes make use of the city’s bicycling system. It also makes it easy for tourist to get their hands on bikes. In Antwerp, Belgium cycling is one of the main modes of transportation. Antwerp has a share system and abundant parking facilities including a particularly lovely one at central station. The new cycle tracks along the harbour and a pedestrian bridge was completed in 2016. The steady bike culture doesn’t look like it’s going to fade away. Malmo Sweden is arguably the most bike friendly city having more bike lanes than any of its counterparts. It continues to make biking easier and safer too by having a separate bike lights on traffic signals and a parking facility at the central train station. Copenhagen is a bike friendly city with traffic lights that are timed for bicycle speeds to the famous Cykelslangen (bike snake) an elevated cycle path which takes riders over a busy shopping area. This city is a cycling paradise. In fact, bikes outnumber cars in Copenhagen. Rio De Janerio Brazil got on board with bicycles in 1992, which is when they first started building bike lanes. Today the city has thriving cyclist population. Their new biking sharing program boast 60 stations and 600 bicycles distributed throughout the city. Bike Rio offers monthly passes for Rs 10 that is around 2.50$ in U.S. Dollar allowing residents and visitors unlimited access to the bike. On weekends riders can take a trip to one of the beach avenues for a lovely view of the water as they ride. Austin Texas is committed to helping its resident’s live greener lives and it shows in their biking initiatives. There are plenty of biking paths and hundreds of bike racks for riders to use. If you’re visiting Austin then pick up a cycling map from one of the town’s many bike shops and then hit the trail. There are three major paths to help navigate downtown. They are the Lance Armstrong Bikeway, the Rio Grande Roadway and the Plunger Bicycle and Pedestrian Bridge. So biking is a great way to stay active and reduce your carbon footprints.